Tennessee Gov. 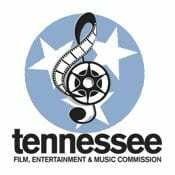 Bill Haslam and Economic and Community Development Commissioner Bill Hagerty announced key appointments today (12/14) to the Tennessee Film Entertainment and Music Commission (TFEMC). Bob Raines, who was most recently serving as interim Executive Director, is now the Executive Director. Music industry veteran Hank Adam Locklin will fill the newly created role of Director of Music and Business Development. Raines has been with the TFEMC since 2002, and has developed extensive relationships with members of the entertainment industry and local communities and organizations throughout the state. In his previous TFEMC roles, he has administered the state’s film and TV incentive program, successfully negotiated film, television and music projects, and marketed the unique aspects of doing business in Tennessee to companies throughout the country and around the world. In his new role, Locklin will identify and strengthen partnerships with Tennessee’s one-of-a-kind music industry. A key objective of the TFEMC going forward will be recruiting entertainment companies to relocate jobs to Tennessee and Locklin will lead the state’s efforts in this area. Most recently Locklin was interim Executive Director of the Alabama Music Hall of Fame where he still serves as chairman of the Board. He was previously Senior Manager of Membership and Industry Relations for the Country Music Association, where he was responsible for developing CMA membership and other forms of music industry outreach. Locklin currently serves as Vice Chairman of the Metro Nashville Tourism and Convention Commission and is a board member of the Women’s Music Business Association. A University of Alabama undergrad and law school graduate, Locklin has previous experience in artist management with Loretta Lynn and Billy Yates and has produced two critically acclaimed albums for his late father, country music star Hank Locklin. When Gov. Haslam’s Jobs4TN economic development plan was unveiled in the spring, the entertainment industry was identified as one of the key clusters in which the state has a clear competitive advantage. The TFEMC will fall under the supervision of Will Alexander, assistant commissioner of Strategy and Innovation, as the TFEMC staff works to capitalize on Tennessee’s current entertainment assets and explores opportunities for the industry’s expansion and job creation.